It has been an exciting lead-up to next week’s high-level meeting in Mexico. 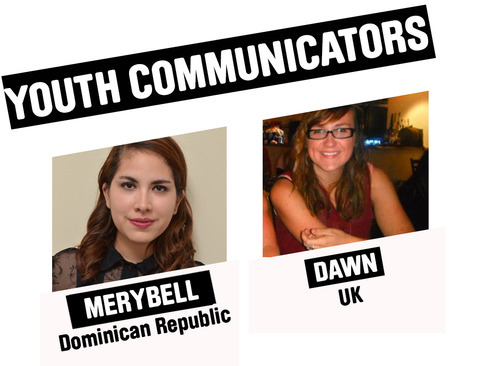 I have been interning at the Restless Development Headquarters in London and working closely with my counterpart, Merybell, in the Dominican Republic to collect input from the world’s youth for the GPEDC. It has been a fast paced 3 weeks and I’ve jumped straight in with acronyms up to my head. I’m Dawn and I will be a Youth Communicator at the Global Partnership for Effective Development Cooperation (GPEDC) conference. As a Development Advocate (supported by the Gates Foundation), passionate about empowering young people, I want to make sure that they are considered across the board in the development of the post-2015 agenda. I believe it is essential that the messages from the conference next week are accessible to everyone. Governments, private entities and civil society members will be coming together to discuss how effective development can occur through partnership and the world’s youth need to have a role in shaping the decisions that will directly affect their lives. So, what is the GPEDC.!? The GPEDC stands for the Global Partnership for Effective Development Cooperation (click here). Co-chaired by the UK’s Secretary of State, Justine Greening, it aims to bring together nations, business and organisations to ensure that funding, knowledge and policy is shared in order to maximize development impact in the continuing fight to help improve lives and end poverty. The first high-level meeting aims to assess how and what progress has been made since the last objectives were set at the meeting in Busan, 2011. 1300 key players and decision makers from around the world will gather in Mexico City, 15th – 16th April 2014, to review and discuss how to continue moving forward. What will the youth communicators be doing (apart from trying to get a selfie with Ban Ki-Moon)? 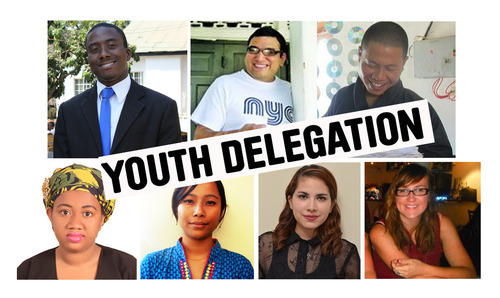 Aside from myself, there will be 6 others in the super youth delegation; three will be Panellists, each specialising in one of the main themes, and the other four will be active participants in the discussions, sharing evidence and experience on development from the grassroots level, both in the main panels and the focus sessions. The meeting will address three main themes: the Private Sector, Middle Income Countries and South-South cooperation. It is an opportunity to share knowledge, discuss what works and what hasn’t in the past and look to the future to see how best to collaborate in the above areas. Half the world’s population is under 25. That’s a lot of positive energy. Restless Development (the youth-led development agency) is supporting a youth delegation to reach out and engage young people from different countries, regions and networks to participate in these global discussions. By being there, the Youth Delegates will show the value and advantages of working with young people to increase development effectiveness. I am excited at the prospect of playing a role in making sure that the voice of the younger generation is heard; that the decisions that are being made on their behalf are informed and right for those who they will be affecting. We want you, reader, to join us. Become a remote delegate of this conference, making it truly global. On this Facebook page, you will find us hosting debates, encouraging discussion and relaying key elements of the conference. On Twitter you’ll see more real-time updates and join the conversation. 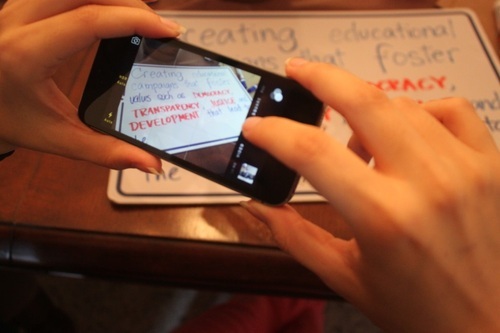 You can follow me (@dawn_1989) or Merybell (@MerybellNabilah) or check the hashtags #myGPEDC #GPHLM. Highlights will also be on @RestlessDev. The voice wall will be hosted through Instagram @RestlessDevelopment. To add to it, you can upload your image or 15 second video with the hashtags #myGPEDC and it’ll show here with all the others from all over the world. We will be working hard to make the conference as interactive as possible and to ensure there is two-way communication between the conference delegates and those how are unable to attend. Join us in showing the Global Partnership how valuable young people and their input are and that we want to be there too.